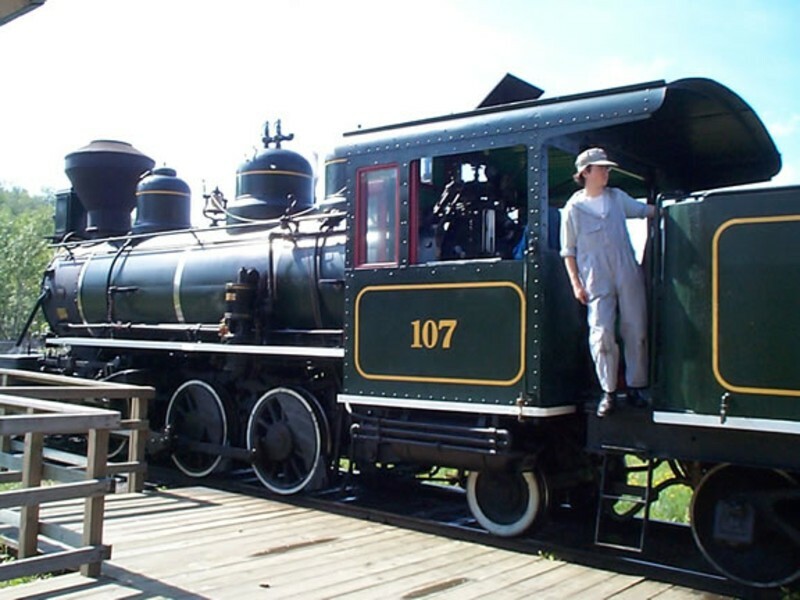 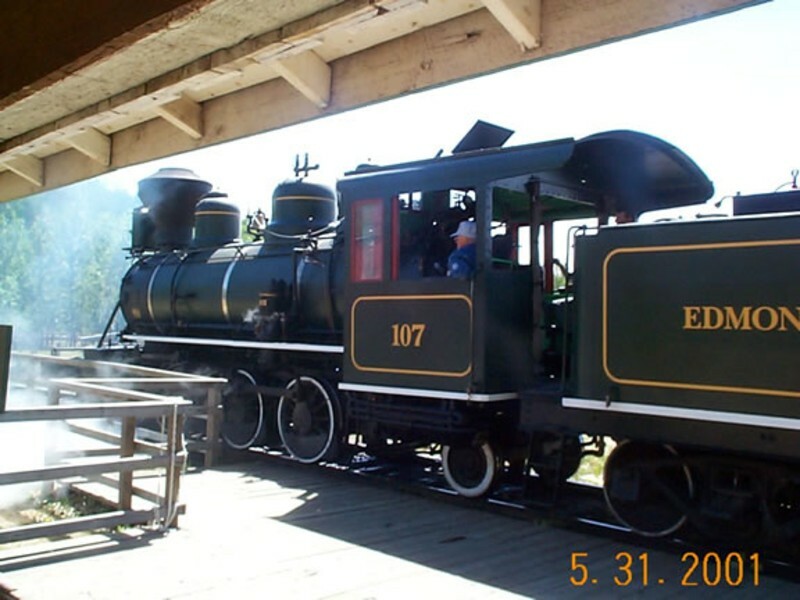 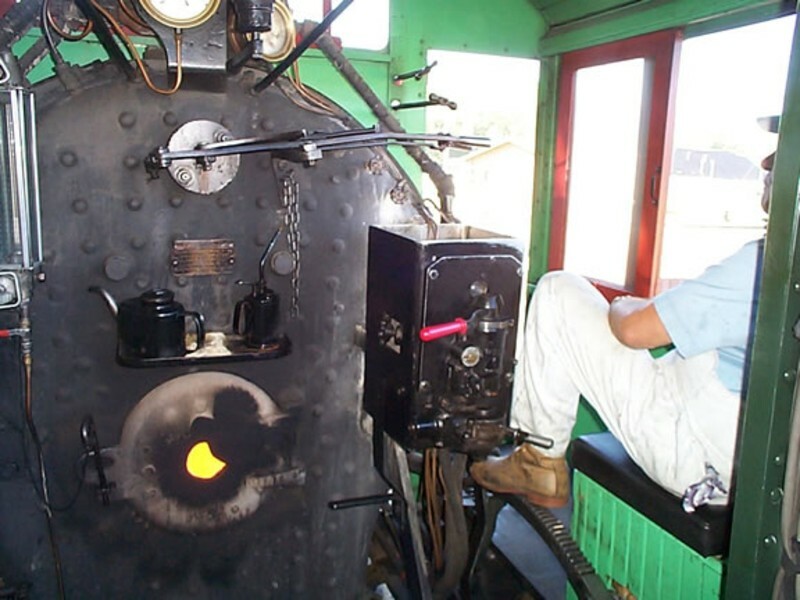 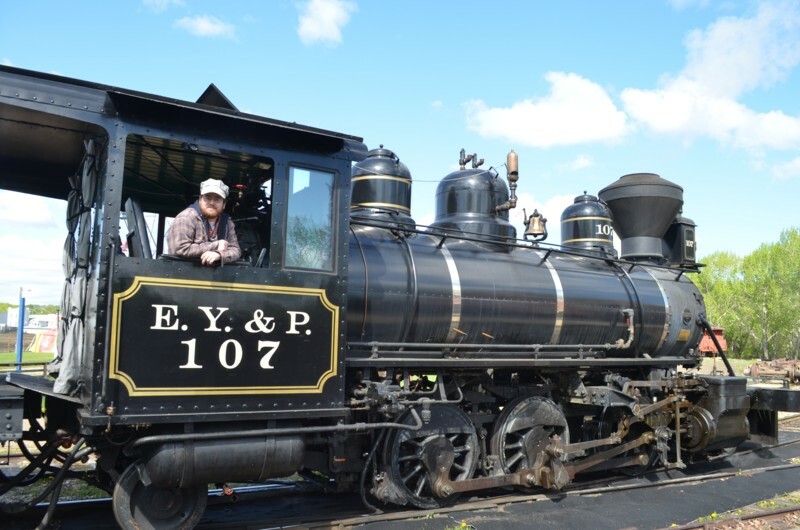 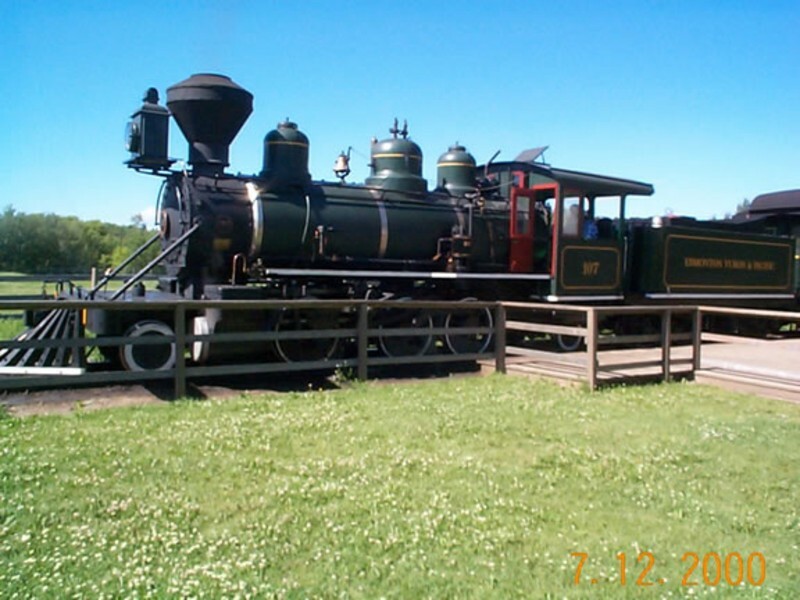 2007 Locomotive 107 is a prairie type (2-6-2) locomotive built by the Baldwin Locomotive Works at Philadelphia, Pennsylvania. 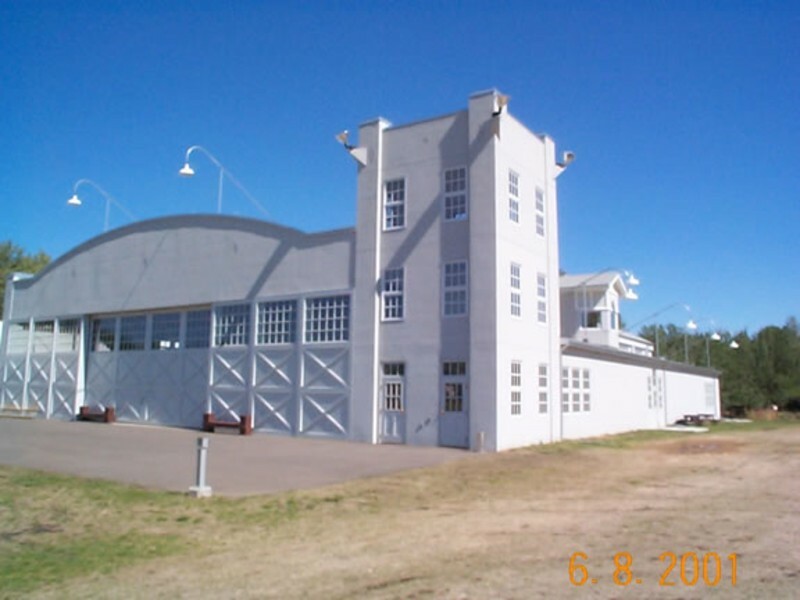 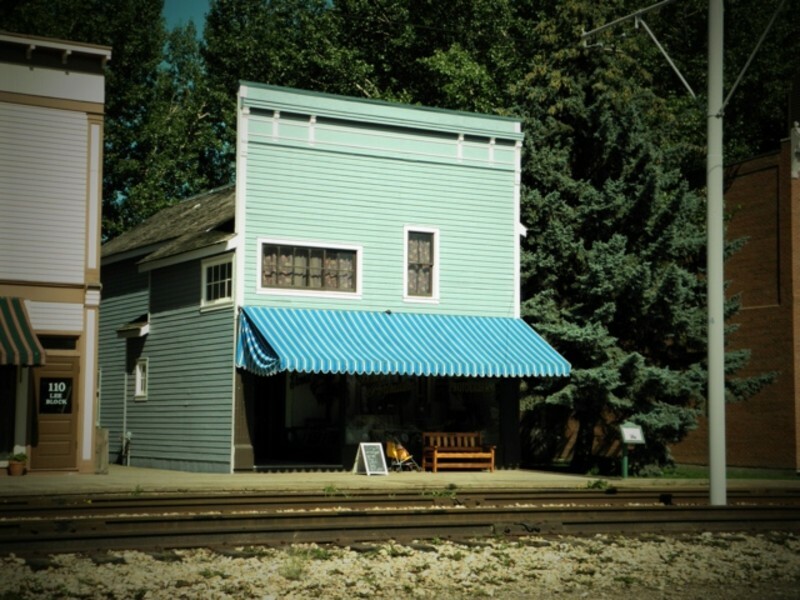 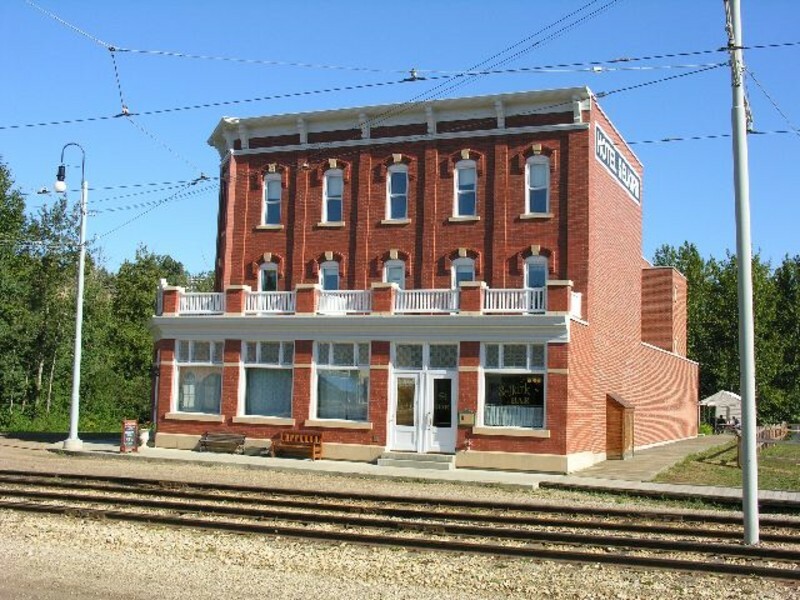 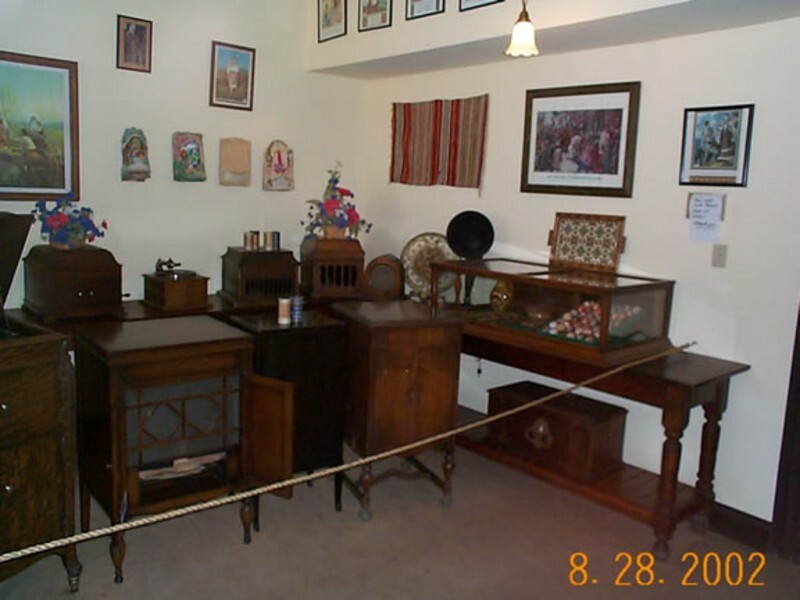 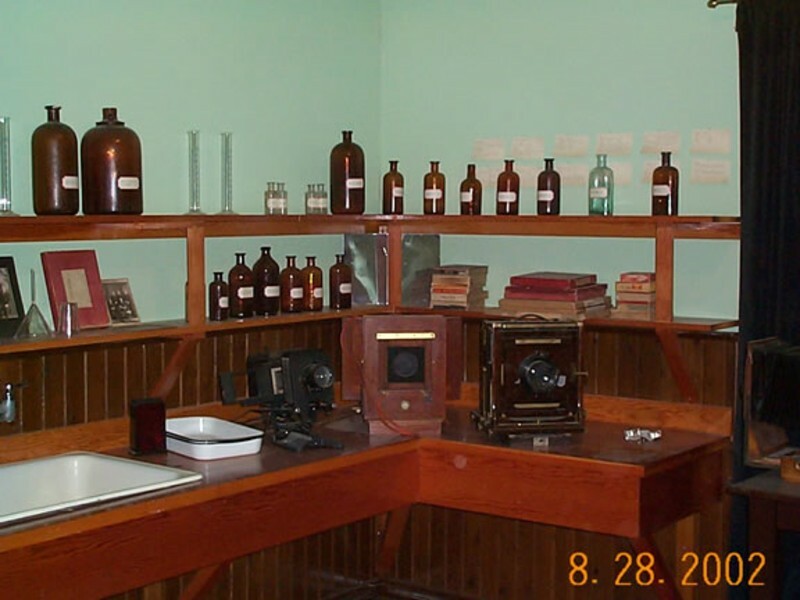 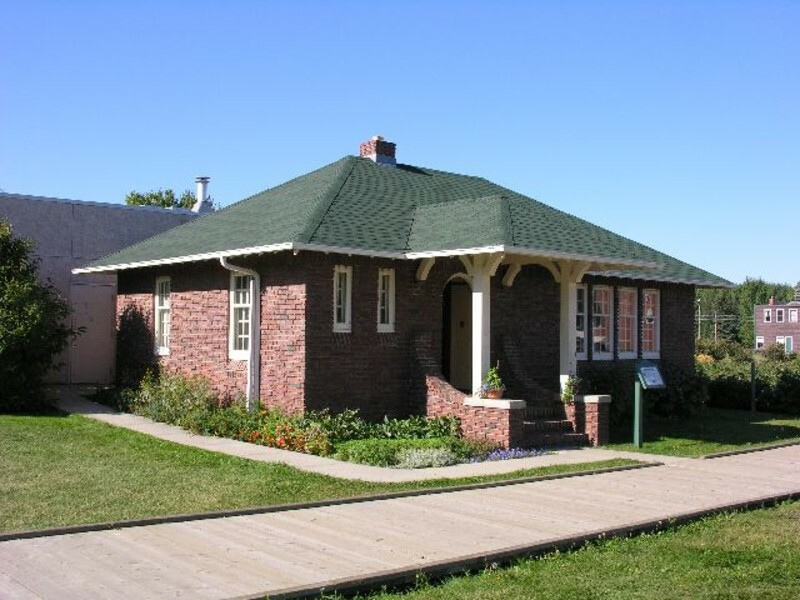 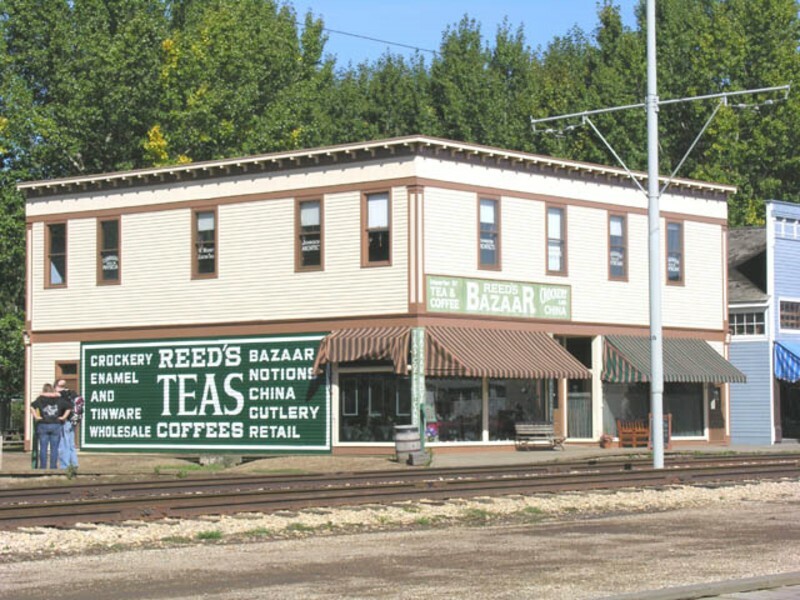 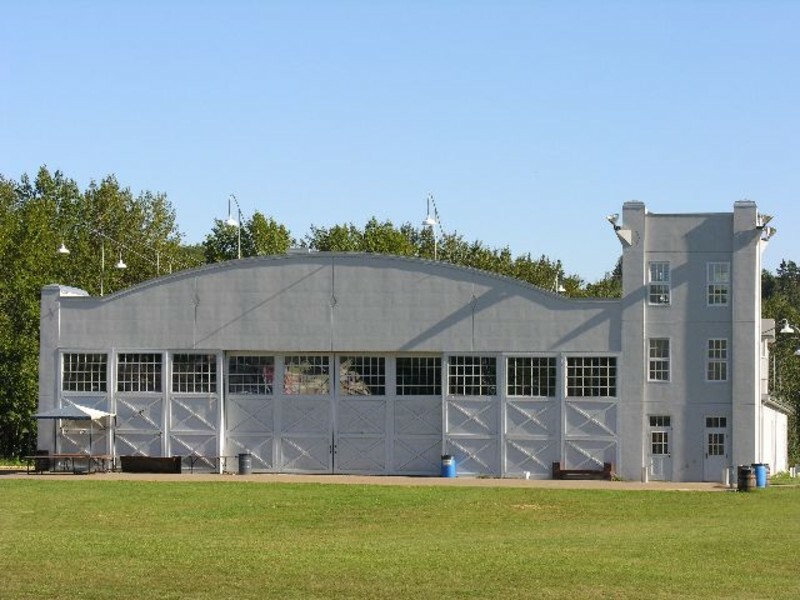 It was built in 1919 for the Industrial Lumber Company in Oakdale, Louisiana. 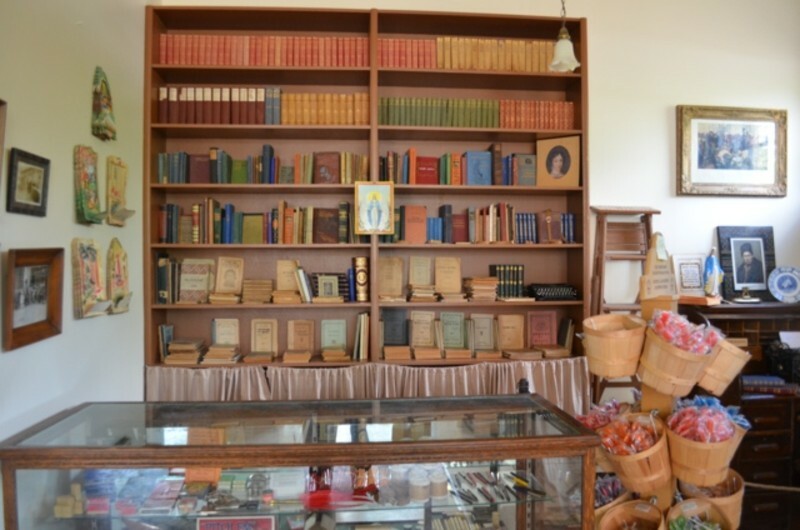 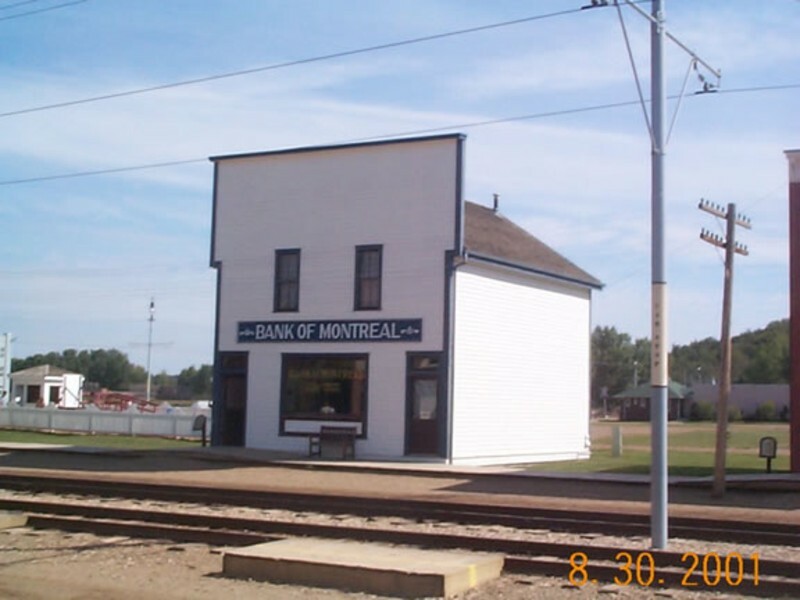 For fifty years it worked there until abandoned. 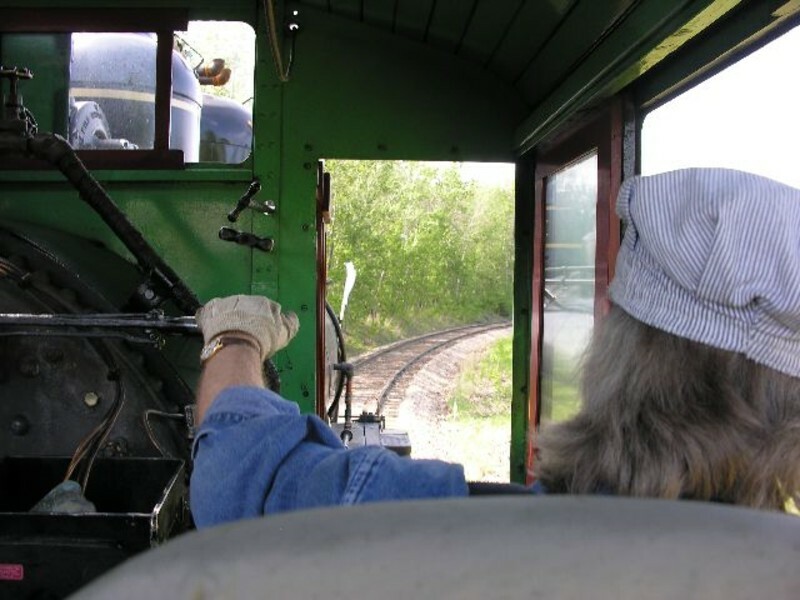 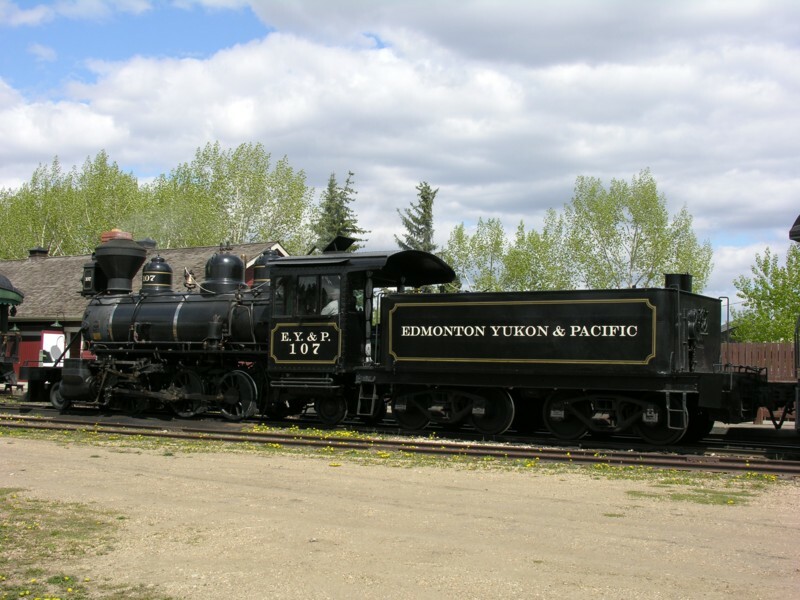 The locomotive arrived at Fort Edmonton Park in 1977, was completely rebuilt and started operation in April, 1978. 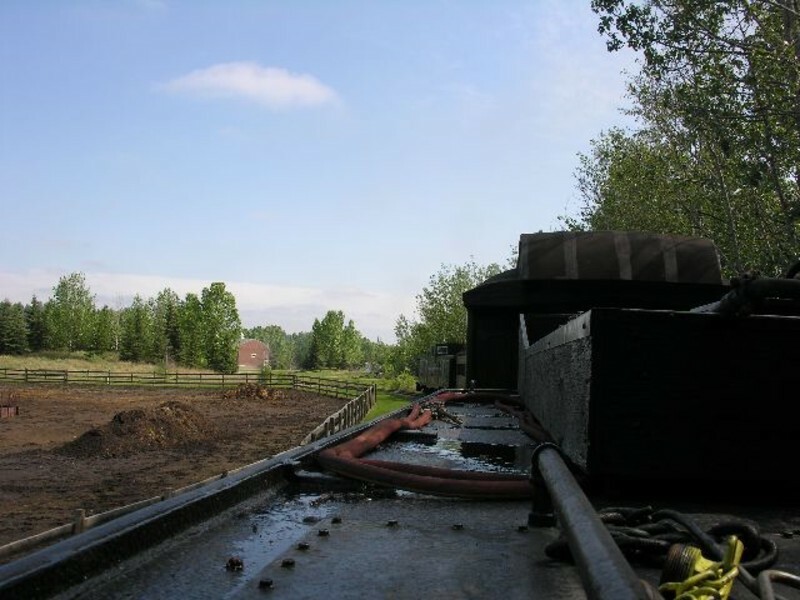 Originally designed to burn wood it now burns oil to heat the boilers. 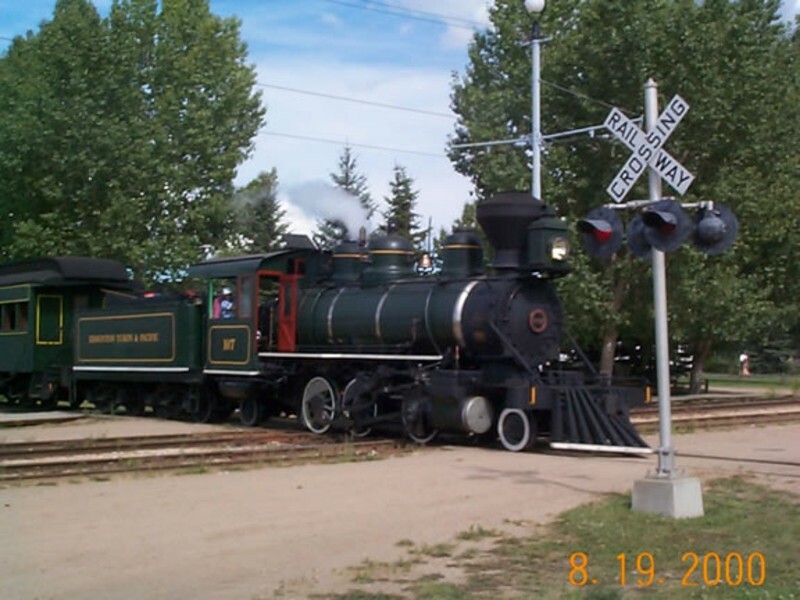 The locomotive as well as the coach cars all received a new paint job and lettering in fall, 2005. 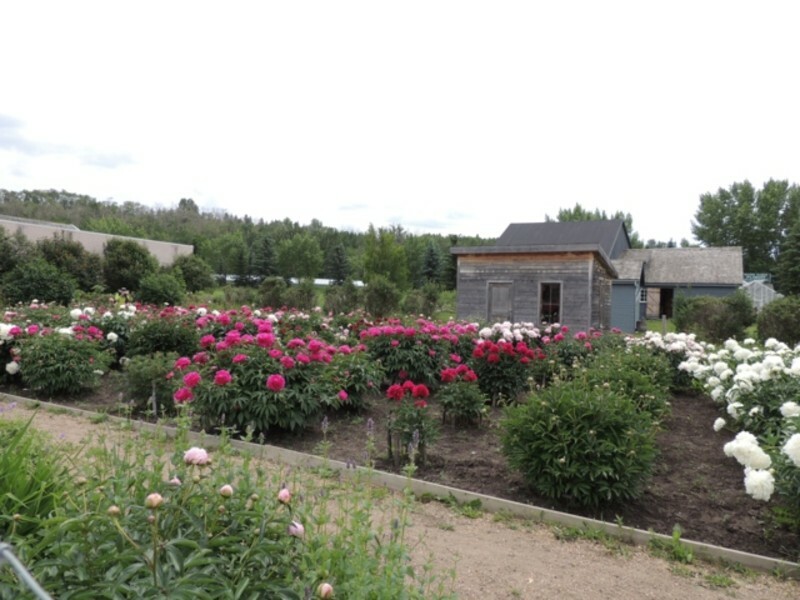 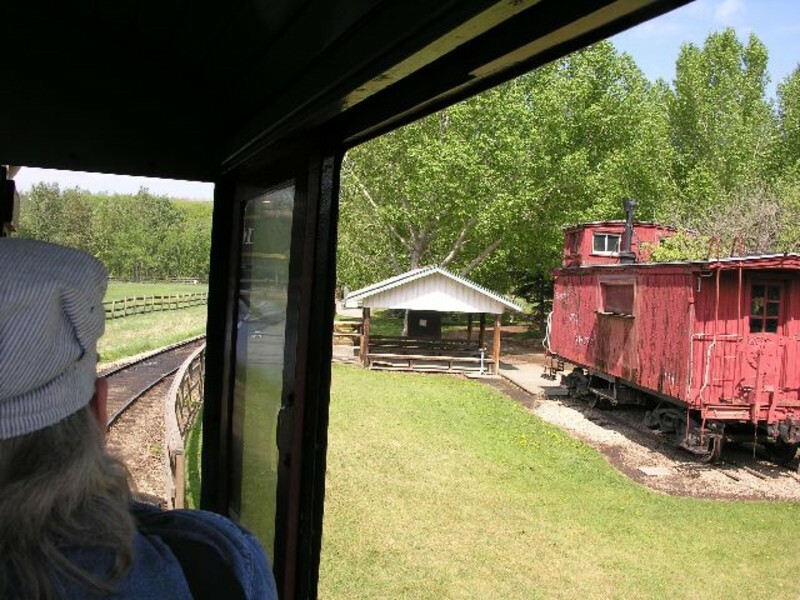 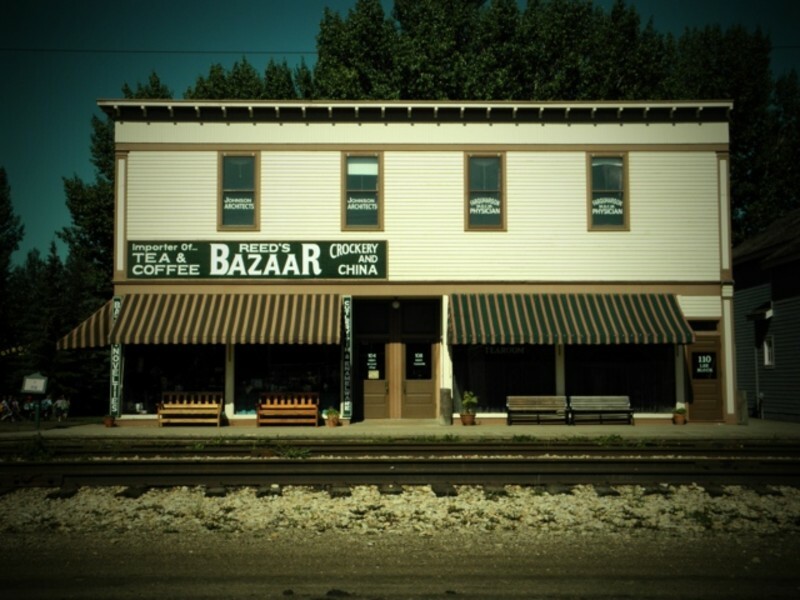 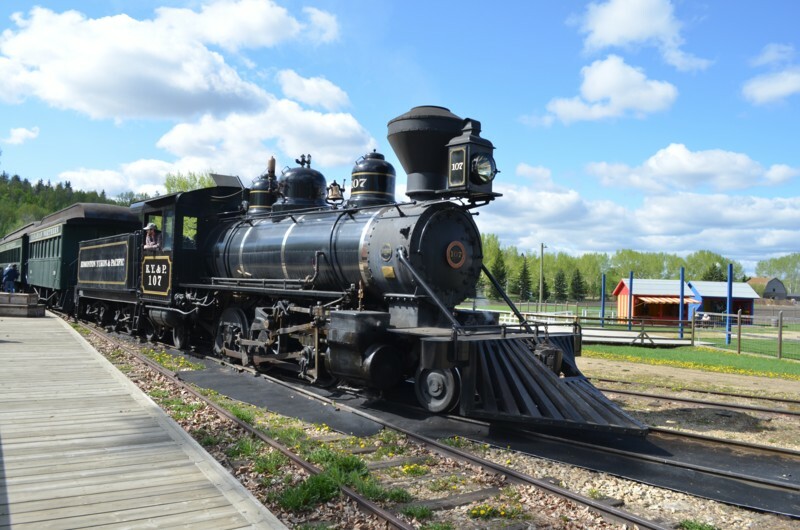 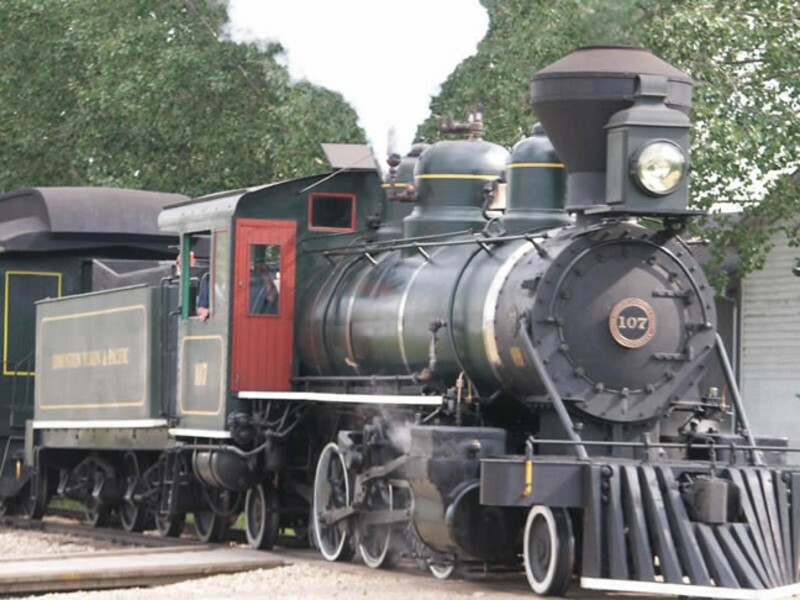 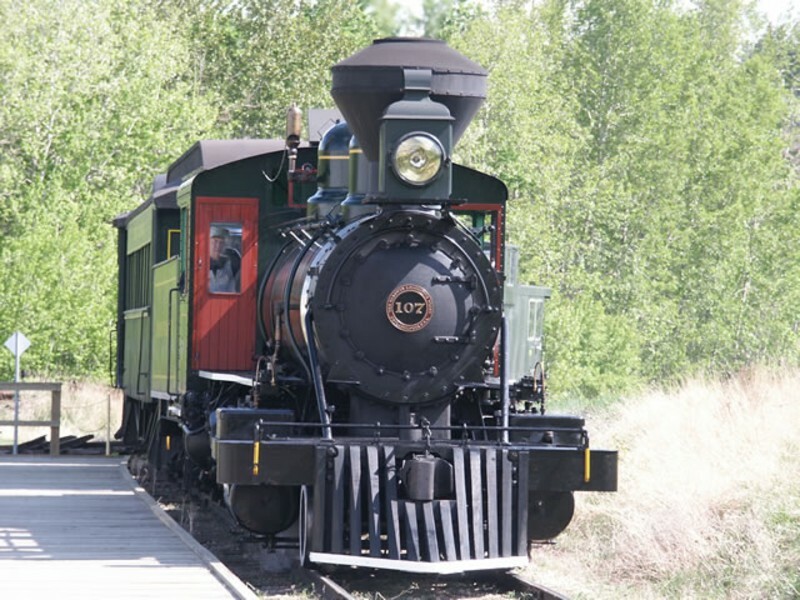 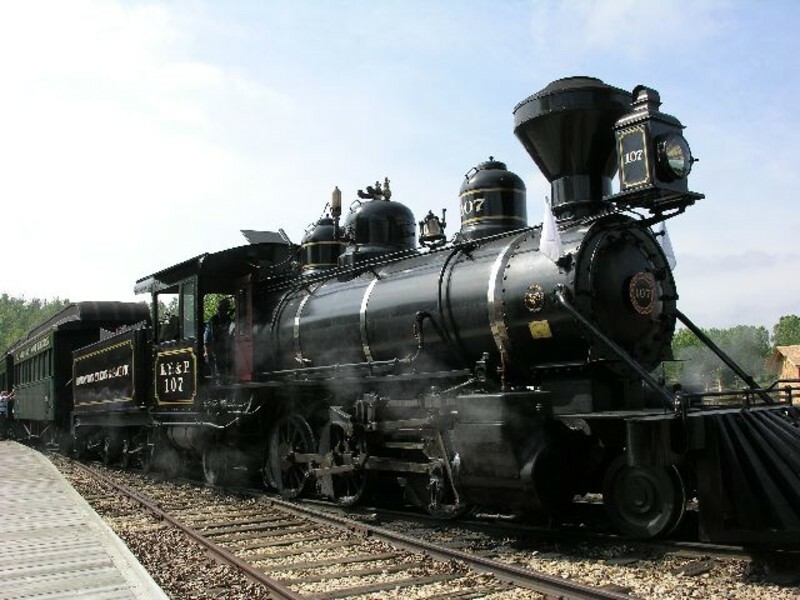 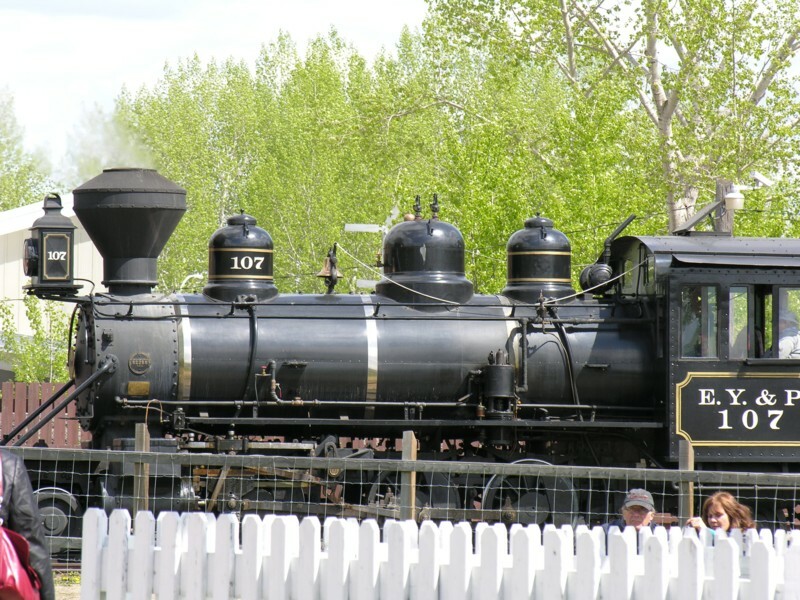 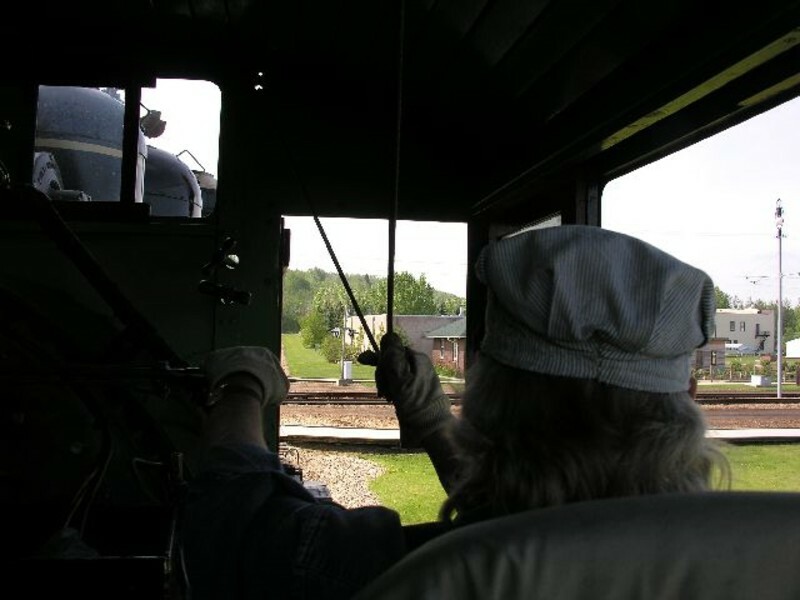 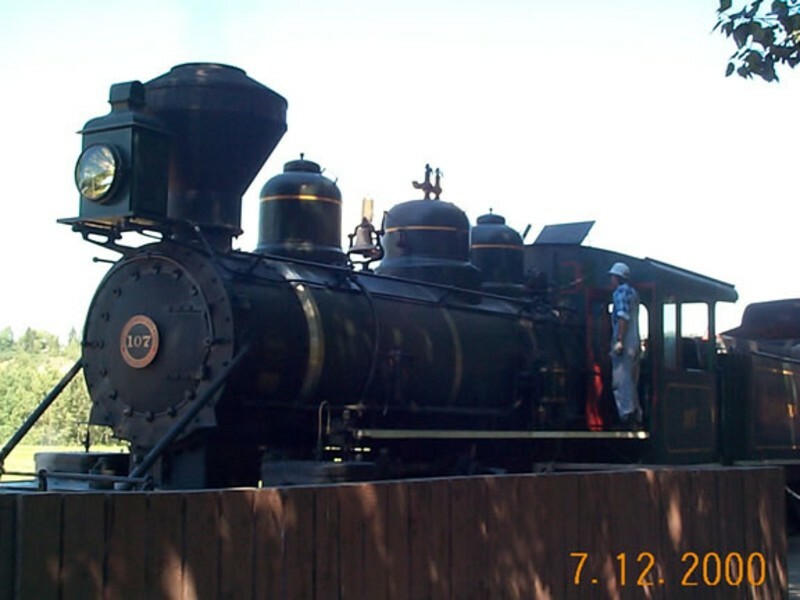 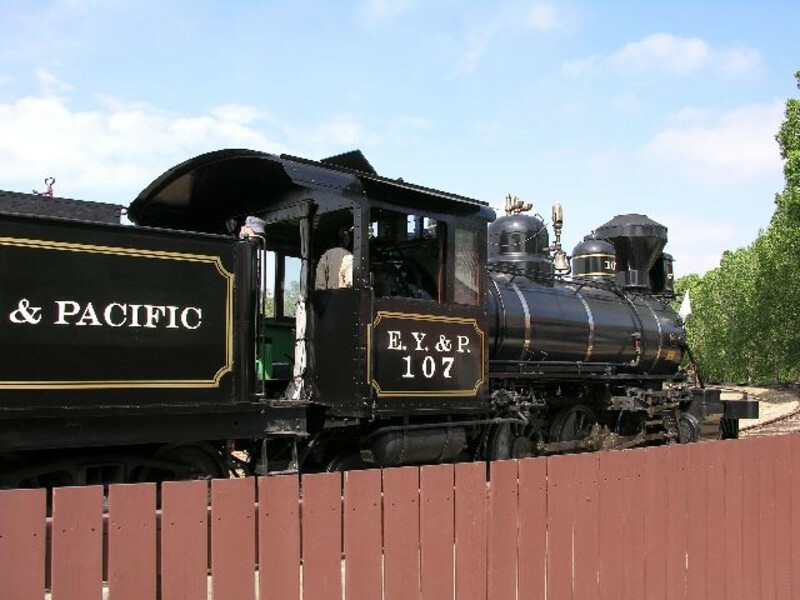 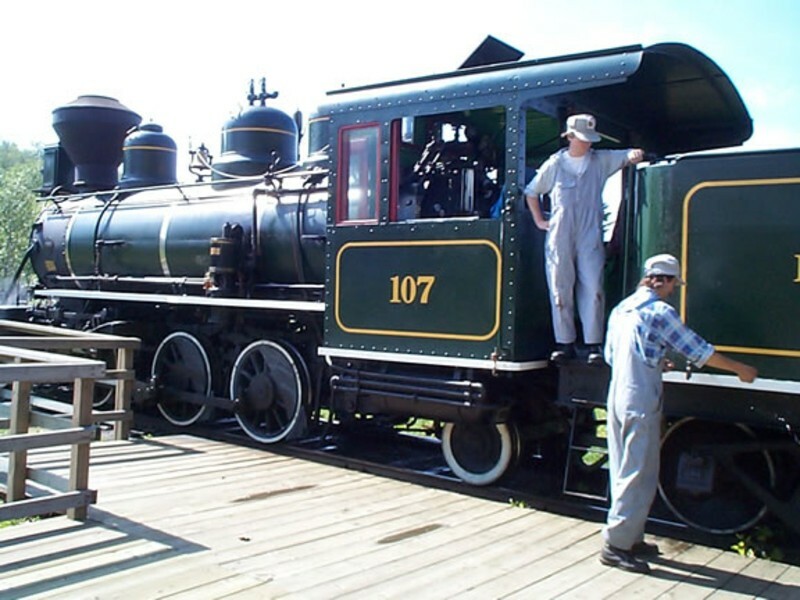 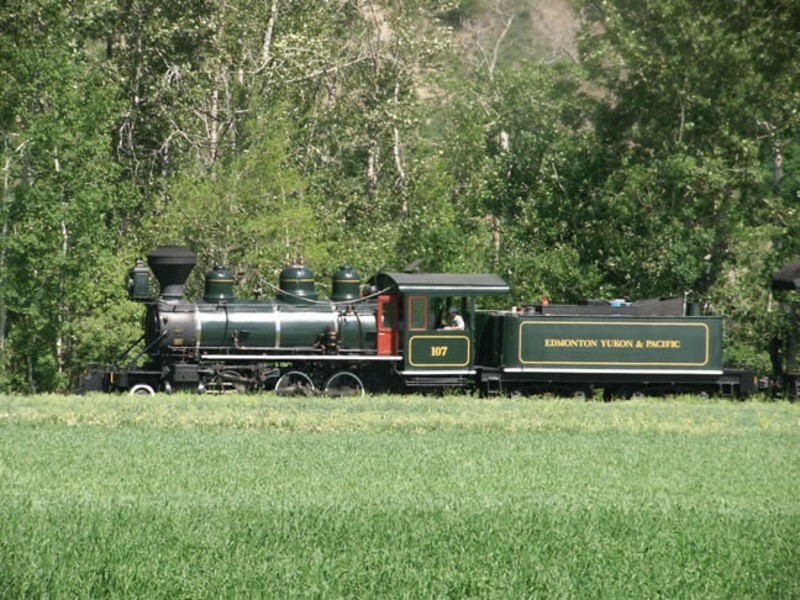 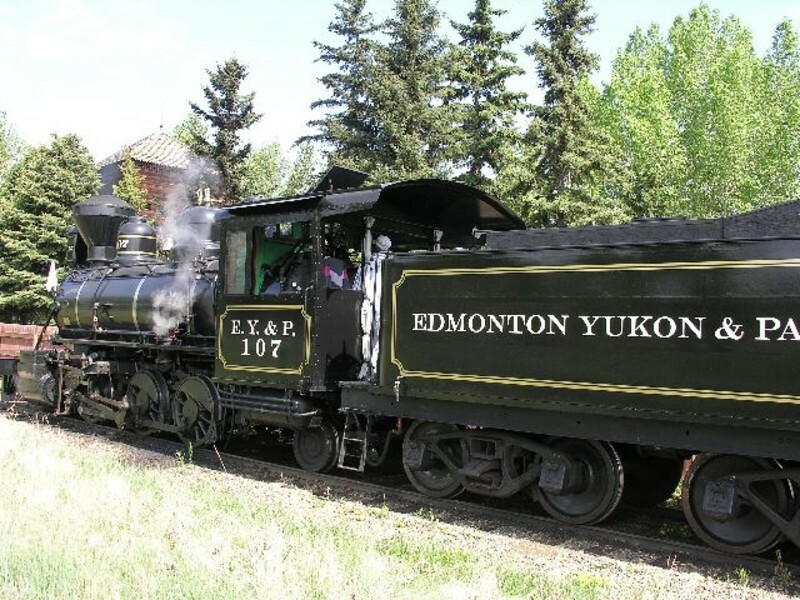 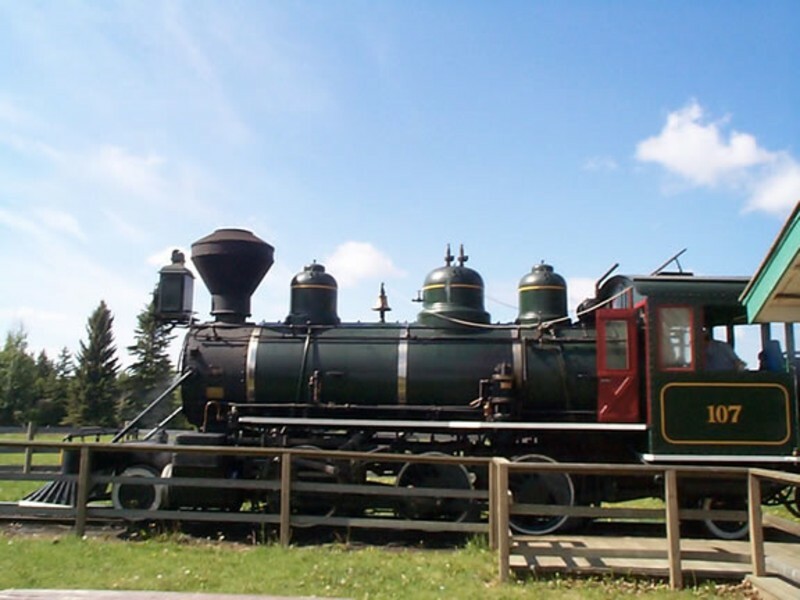 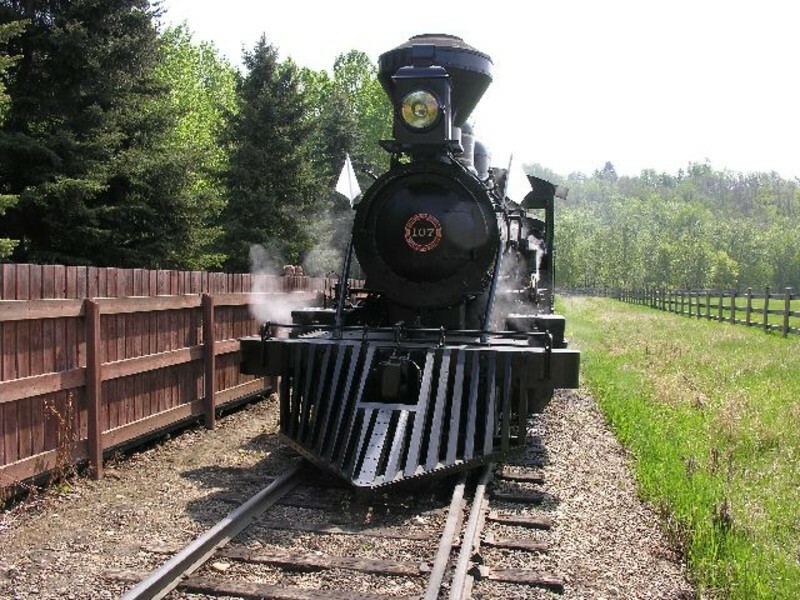 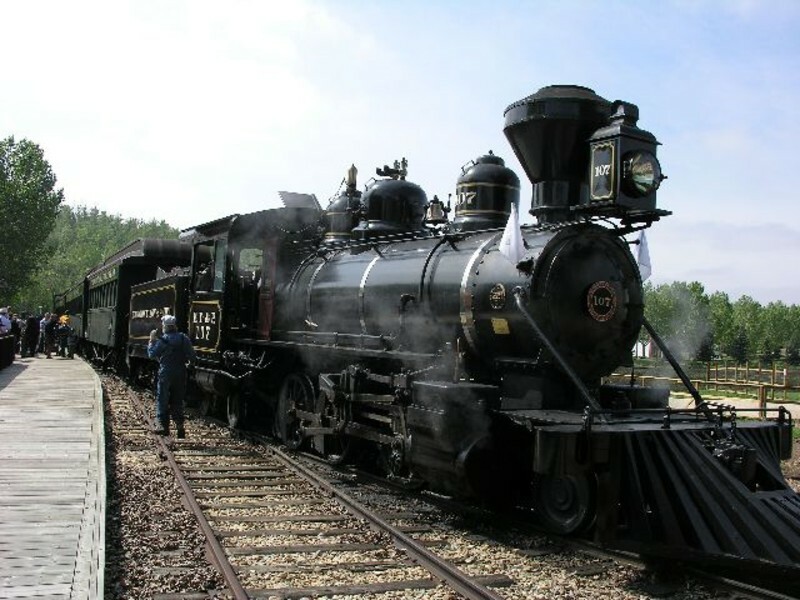 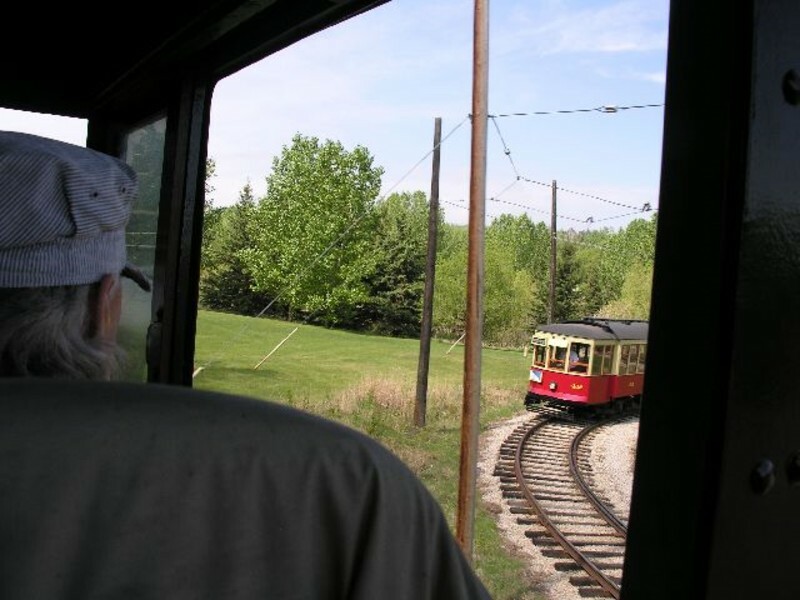 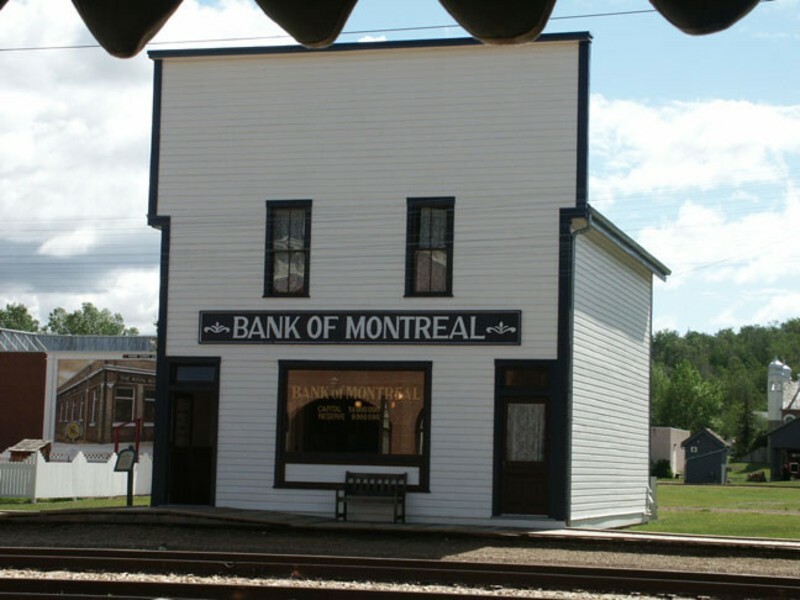 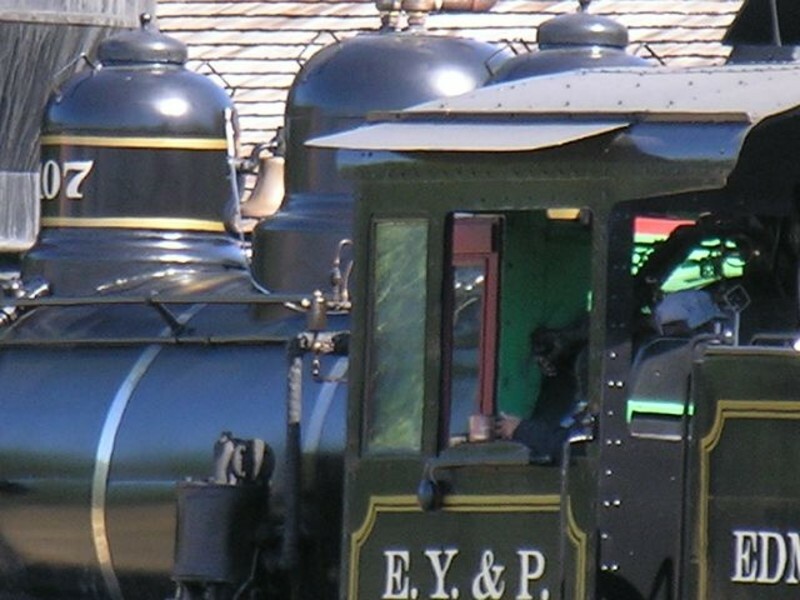 The train was used in the Brad Pitt movie, The Assassination of Jesse James, some of which was filmed at Fort Edmonton Park. 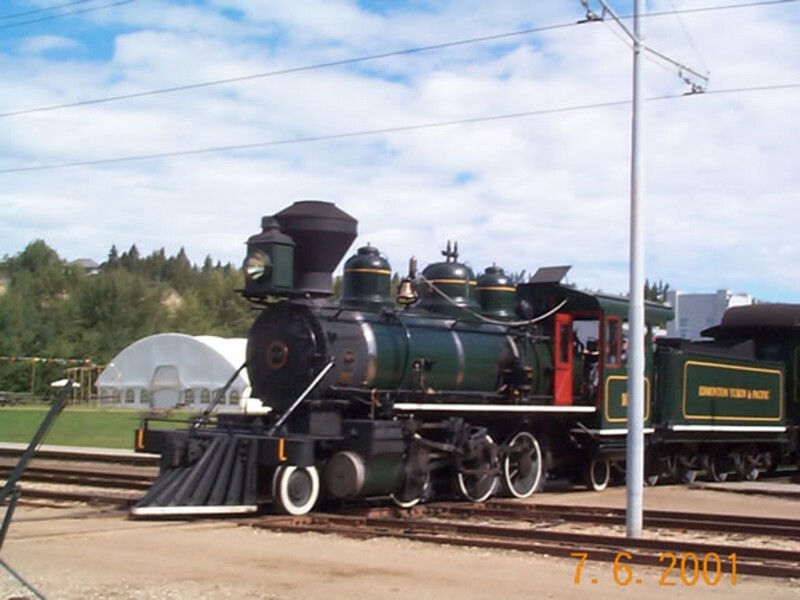 2-6-2 means there are two leading wheels, 6 large driver wheels and 2 trailing wheels. 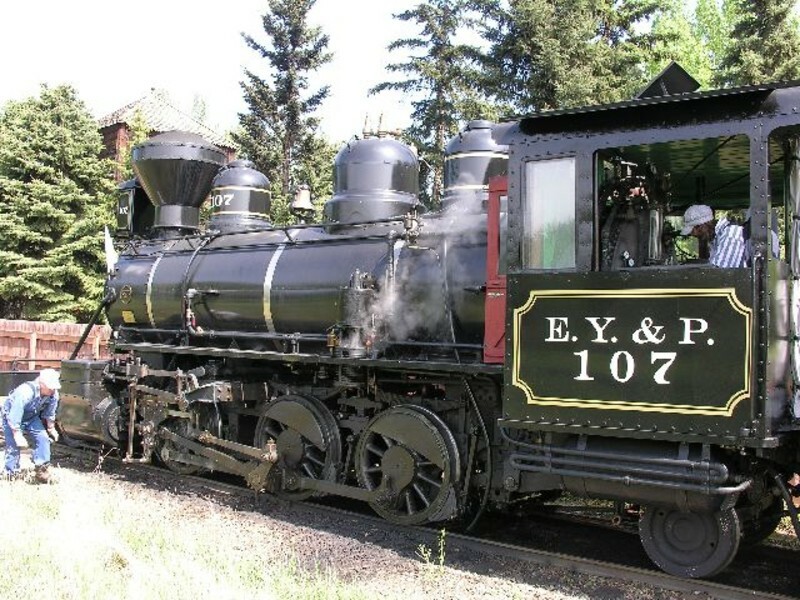 The 2 cylinders produce 1100 horsepower. 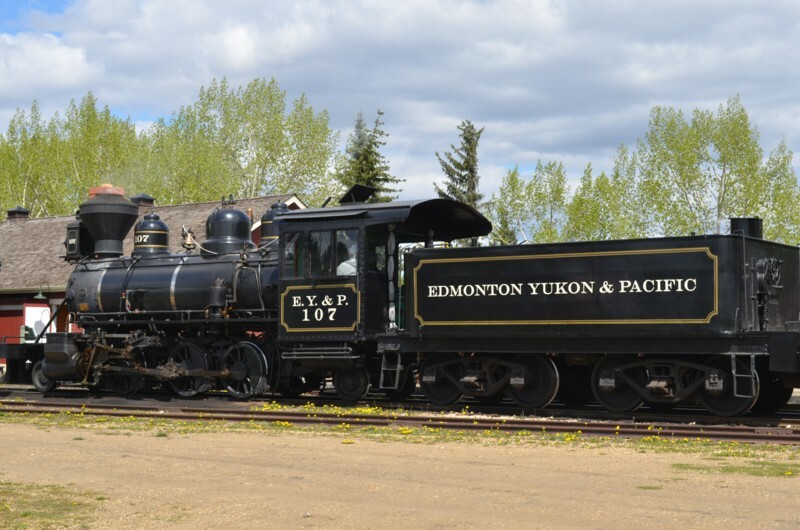 The locomotive weighs 112,000 lbs and the tender weighs 60,000 lbs. 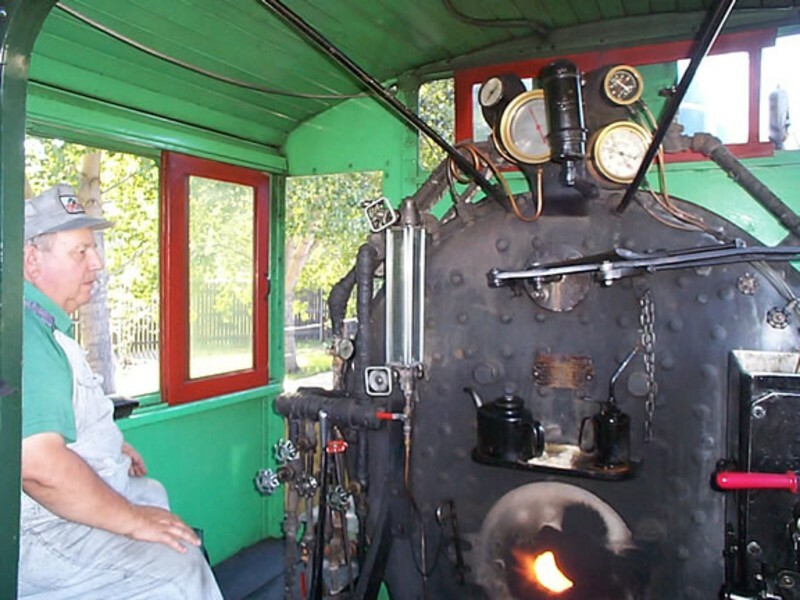 The tender holds 2500 gallons of water to produce steam and the fuel tank holds 900 gallons of oil. 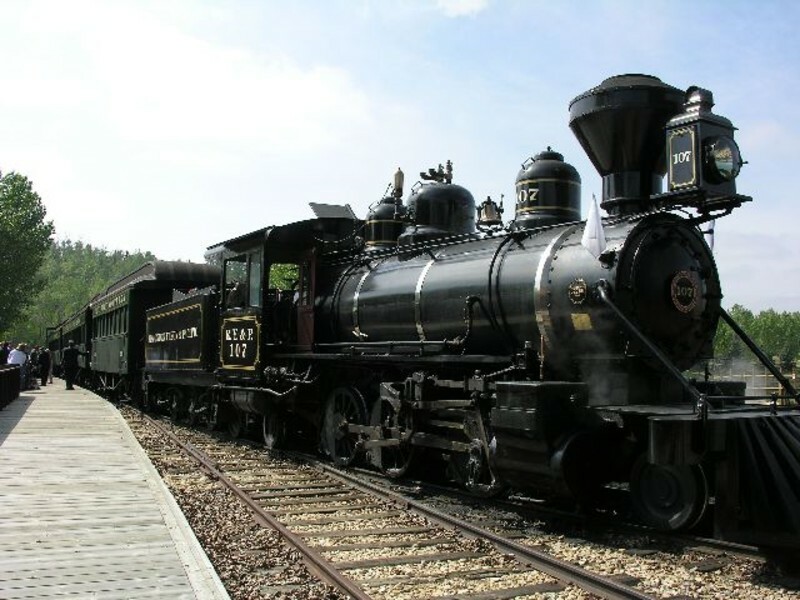 The total length of the engine and tender is over 51 feet with a height of 14 feet.